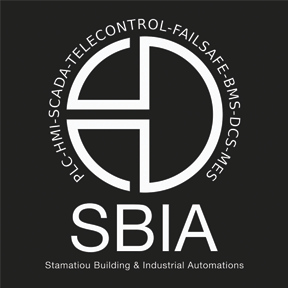 The enterprise “SBIA Stamatiou Building & Industrial Automations” is active in the field of industrial automation, software development, development and trading of electronic systems and services and other special constructions. The commitment to our customers is our non-negotiable attention to the supply and delivery of quality services as also our continuous effort to improve. For this purpose, the company has set quantified targets and corresponding indicators so that control and measurable improvement can be achieved. For our products and services we select the best sources of supply, that guarantee high quality and safety standards, to ensure the production of quality products and the provision of quality services. The best services to our customers and the supply of quality products-services is also achieved by maintaining the high level of specialization of our executives by providing the necessary knowledge, skills and competences required for the availability and distribution of quality products-services and the implementation of the quality standard.